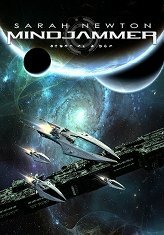 Luca Volpino is the Mindjammer Press Administration Manager. His core responsiblity will be for internal sales reporting and all the essential numbers which need crunching in our business. Born in Italy with a wanderlust, Luca moved to various places, including France, until he got to England. He started rolling dice early in life, and never stopped; he worked for various game companies, until he founded Wild Boar. The best way to catch him is using a horrible pun as bait – he’ll come running. Luca’s at Mindjammer Press to chew gum and shift papers – and he’s all out of gum!